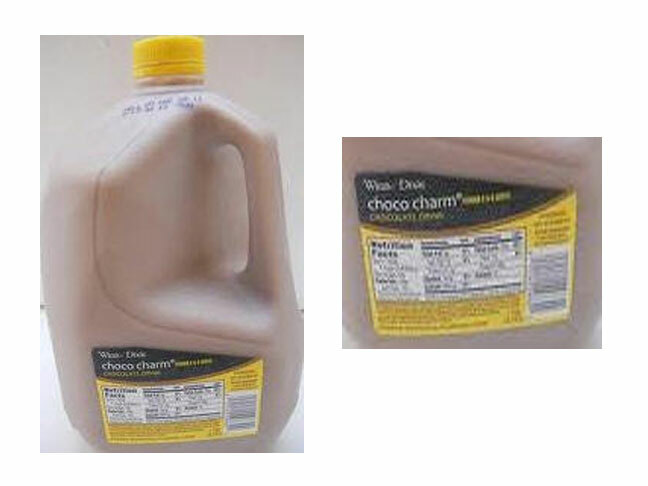 On August 16th, 2011, Winn-Dixie Stores, Inc., voluntarily recalled their “Winn-Dixie Choco Charm Chocolate Drink” from their in-store dairy departments because the product may be mislabeled and may contain the undeclared allergen of wheat. Individuals sensitive to wheat protein can suffer a moderate-acute allergic reaction. This recall was initiated out of an abundance of caution for consumer safety, though the Company has received no reports of illnesses associated with consumption of this product as of August 16th, 2011. Consumers with questions or any doubts are encouraged to return the product to their neighborhood Winn-Dixie or SaveRite store for a full refund or exchange. Consumers with questions about the recalled product may also contact Winn-Dixie Guest Services toll free at 1-866-WINN-DIXIE. “We encourage guests with any concerns to return the product for a full refund, no questions asked,” said Mary Kellmanson, Winn-Dixie’s group vice president of marketing. This product was sold in the dairy department of Winn-Dixie and SaveRite stores, the “Winn-Dixie Choco Charm Chocolate Drink” features a 128 oz. (one gallon) clear plastic bottle with a yellow bottle cap and is marked with the UPC code 21140-29830. The product affected by this recall was sold in Florida, Georgia, Alabama, Mississippi and Louisiana. Winn-Dixie Stores, Inc. is one of the nation’s largest food retailers. Founded in 1925, the Company is headquartered in Jacksonville, Fla. The Company currently operates 484 retail grocery locations, including 379 in-store pharmacies, in Florida, Alabama, Louisiana, Georgia and Mississippi. For more information, please visit Winn-Dixie’s website.